The program for the New Year's Day concert is coming together. There'll be some late 17th century music as well as some 18th century. 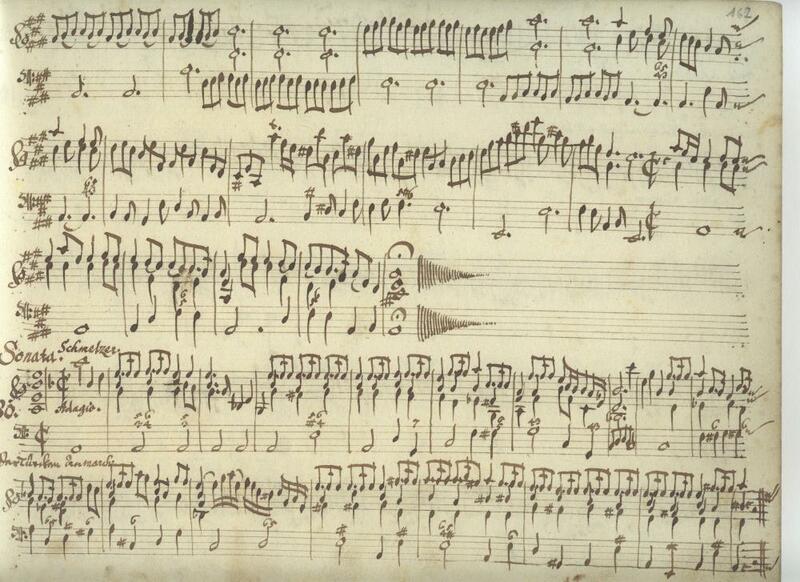 Hallie will be singing two cantatas with violin by Antonio Caldara who was at Vienna from 1717 till his death from a stroke, perhaps brought on by overwork, in 1736. His court duties were to provide an opera for birthday and the name day of the Emperor and his consort as well as a large scale oratorio every Lent. The 3,900 Florins he was getting a year he was getting a year for that was not enough apparently, so he took on work composing operas for other Austrian nobles on the side. There'll be a Vivaldi cantata. Vivaldi died and was buried in a pauper's grave in Vienna. He moved there to start afresh as an opera composer just before the Emperor died. Operas were cancelled during the period of mourning, so he never caught on. Sara Anne Churchill will play some variations by Wolfgang Ebner on a theme by Emperor Ferdinand III and Chris Verrette will be playing a sonata attributed to 'Schmelzer' (probably Andreas, since his more famous dad, Johann was dead by the event) in the manuscript which is a programatic piece on the defeat of the Turks in the Seige of Vienna. Except it's probably really a piece by Biber and the subject is the Crucifixion. There's a picture of the score above. You'll see the violin is tuned to a scordatura with the lower three strings up a tone from where they are usually. The notes on the staff tell you where to put your fingers as if the strings were tuned normally, rather than representing the pitches that come out, so the violin part looks like musical gibberish. There might be some pieces by Jacques St. Luc for the French lute in F# minor, which apparently the French baroque lute players thought was the saddest of all keys. (Later plucked string players have attributed that quality to the key of D minor. See this video.) Many memorial pieces called Tombeaux were composed in that key by French lutenists perhaps because it has a muted, covered quality on the French lute, since there are no open strings. 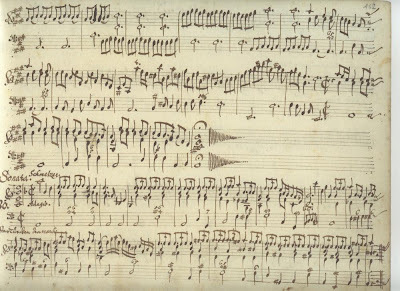 The viol player Marais made his Tombeau de Lully in that key too, but says if you are going to accompany it with a keyboard, you should tune up a half step and have the keyboardist play in G minor, because the temperament in F# minor would sound awful. The Spinal Tap clip is a better rebuttal and in 1:06 min too.